As most of our friends, family, guests, visitors and readers already know, Freddie Mercury means a lot to us here at Pikes. His vibrant legacy lives on through the hedonistic soirées in his former favourite bedroom every night – now aptly named Freddie’s Suite – and tales of his escapades at the hotel continue to be shared via those who remember him, those who’ve turned the tales into urban legend and of course, through the pages of Tony Pike’s biography, Mr Pikes. 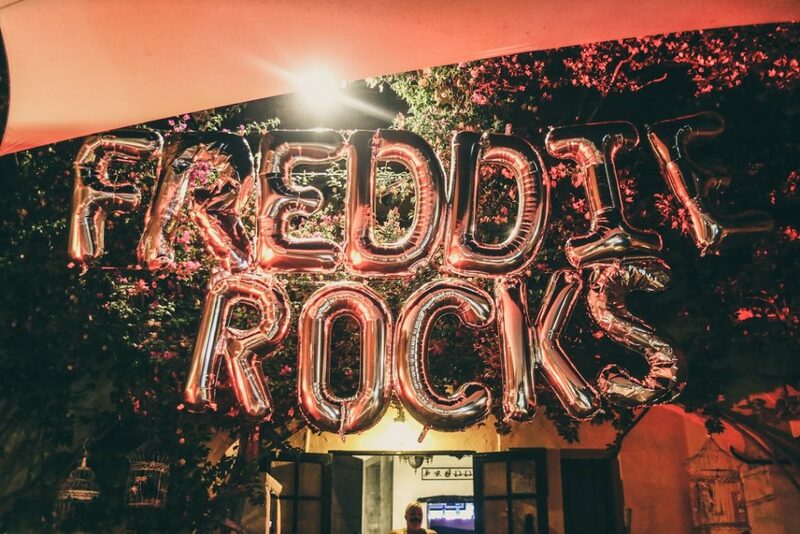 To top that off, once a year, we like to throw a party to end all parties, in celebration of the life, music and love of this true legend – ladies and gentleman, we invite you once again to FREDDIE ROCKS. What you may not know is that Freddie Rocks – now in its eighth year – is part of the global ‘Freddie For A Day’ fundraiser for the Mercury Phoenix Trust. The charity organisation was founded by Queen members Brian May and Roger Taylor alongside manager Jim Beach in Freddie’s memory, to raise money to help eradicate HIV/AIDS – the disease which Freddie died of in 1991. In the last 21 years, the Trust has given away more than 15 million dollars to over 700 projects in 57 countries, ranging from large NGOS to tiny grassroots organisations. They believe every little bit counts – no project is too big or too small, and knowledge is the way forward to win the fight. We’re proud to do our bit to support them. Here on home Ibiza soil, we see Freddie Rocks at Pikes as an annual party that truly puts the ‘fun’ in fundraising, as international and local DJs, Ibiza residents, holidaymakers and the entire Pikes family all come together to make a contribution to the foundation while honouring our late great hero in a way we believe would have made him break into that signature grin (and quite possibly song). 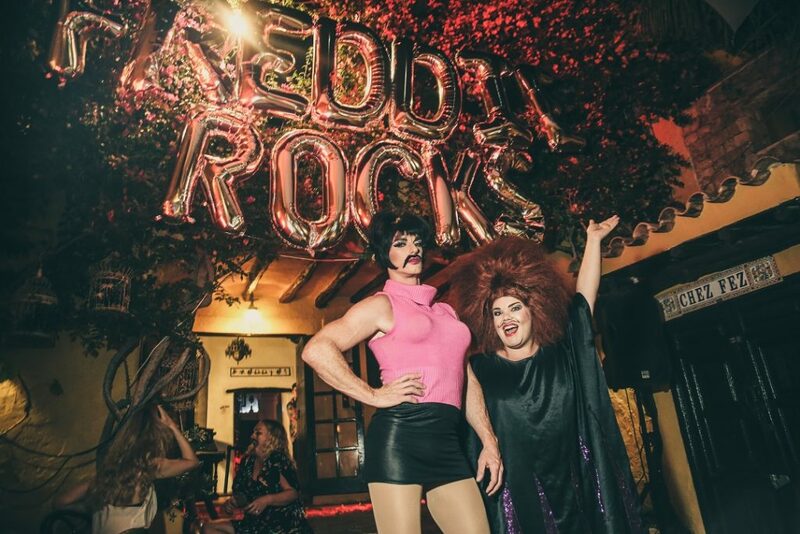 Last year, we raised 8810€ for the Mercury Phoenix Trust and this year we’re looking to break that record with plans for the biggest Freddie Rocks event to date. The show must go on! 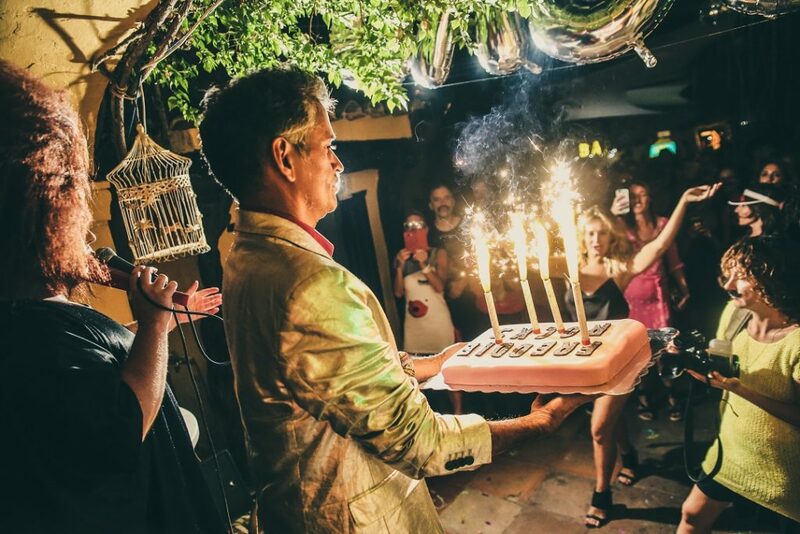 Sunday September 2, 2018 is the date to put in your diaries, when we’ll transform the hotel into a fun and flamboyant playground reminiscent of Freddie Mercury’s infamously wild 41st birthday party back in 1987. The action kicks off from 2pm with our Sunday Roast – reservations essential – providing the ideal fuel-up for the night ahead. All guests are asked to make a minimum 10€ donation on the door (and more would be welcomed and greatly appreciated!) and 100% of all donations will be given to the Mercury Phoenix Trust. 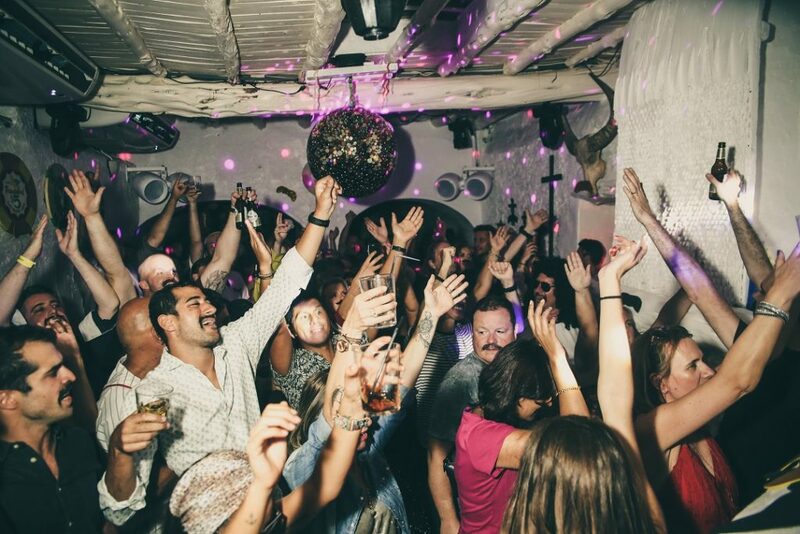 Pikes is generally known as a place where you can party without any rules, however when it comes to Freddie Rocks, there is one very important rule you need to know before arriving. NO TASH, NO ENTRY. No exceptions. Everyone who comes through our front door must be sporting a moustache in honour of Freddie Mercury – but don’t worry, if you don’t have a tash, we can draw on on for you… for a charitable donation of course. 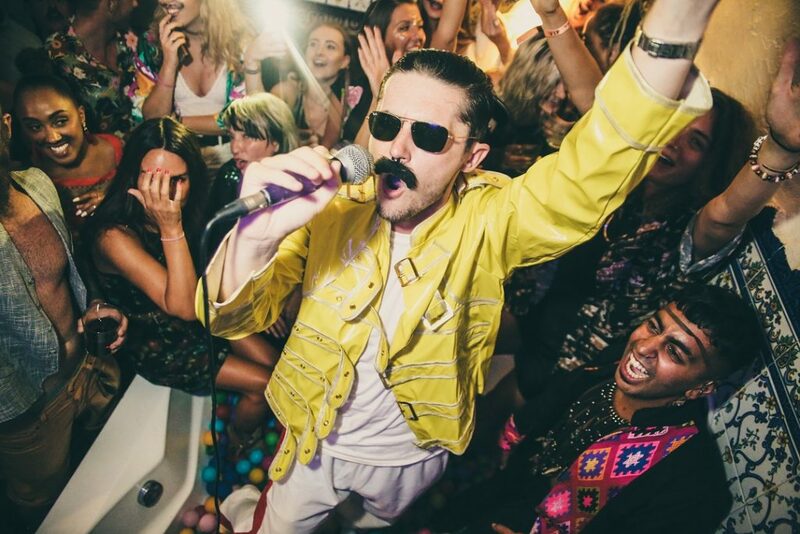 As the name suggests, Freddie For A Day is all about donning your best Freddie attire, whether it’s the full costume or just an honorary moustache for the occasion and we want to see Pikes full of Freddies! You know we love a bit of fancy dress in Sunny’s Boudoir on any given night, but Freddie Rocks is all about taking it to the next level. Go for the classic yellow military jacket and epaulettes, squeeze into a red PVC catsuit, plaster yourself in Harlequin, find yourself a silver sequin suit to dazzle under the disco ball or embrace the iconic white vest, jeans and a studded belt and just don’t forget that tash – making the effort is going to be worth it. At 8pm, we’ll be putting on a very special Pikes Freddie Mercury Tribute, after which the Best Dressed Freddie will be named and awarded a very cool prize indeed. “You can do what you want with my music, but don’t make me boring,” quipped the legendary singer comically just days before his death, as he was musing on how people would remember him. From poolside, to Chez Fez and obviously Freddie’s, with our very special Pikes Freddie Mercury Tribute in between, you can count on the people of Pikes. Freddie – we will rock you! Don’t miss out on our favourite Sunday of the year. Join us at our 8th annual Freddie Rocks fundraiser. No tache, no entry… No exceptions!